What does the average teacher do 70,000 times a year�.ask a question. 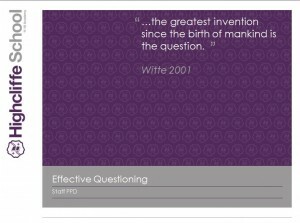 So if you have been teaching for 15 years you have probably asked 1 million questions. So what sort of questions should we be asking and how should we ask them? 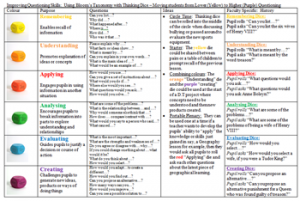 The methods explored in the PPD session are displayed below. Give them a go in your classroom. Click on the image to open the Presentation. 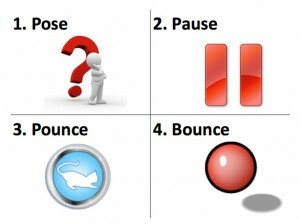 A simple, yet sophisticated, AfL questioning technique to help teachers move from good-to-outstanding. It also helps address differentiation in the classroom and encourages teachers to take risk. There are a number of different dice out there. 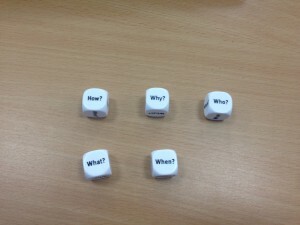 Speak to Mr Wayth if you would like to use the Question Dice or your SCL if you fancy giving the Thinking Dice a roll.